It's not only that Discworld Noir dared to launch in 1999 during the dark times of the Great Adventure Gaming Crisis; it's that Discworld Noir is the best adventure ever set on Terry Pratchett's Discworld. It is innovative, funny, excellently designed and impressively written and thus a noir-fantasy game I deeply love. 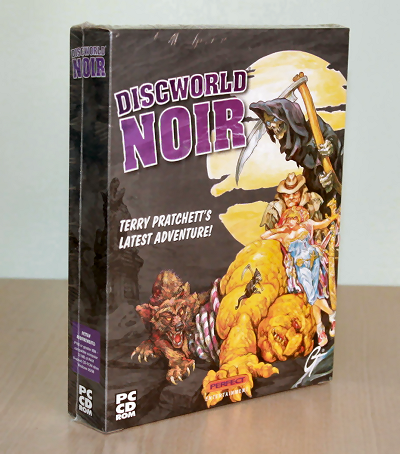 Handily then, this mouth-watering Discwolrd Noir (PC) eBay auction has just gone live and is incredibly tempting even for my Discworld-owning self. You'll be bidding on the original 1999 PC-CD version of the game complete in its factory sealed big box. Seller ships to the Americas, Europe, Asia and Australia.